﻿ Patchareeporn Resort, Loei | FROM $17 - SAVE ON AGODA! Have a question for Patchareeporn Resort? "Enjoyed our stayiing on this excelent place"
"Very nice bungalows lovely swimming pool ." 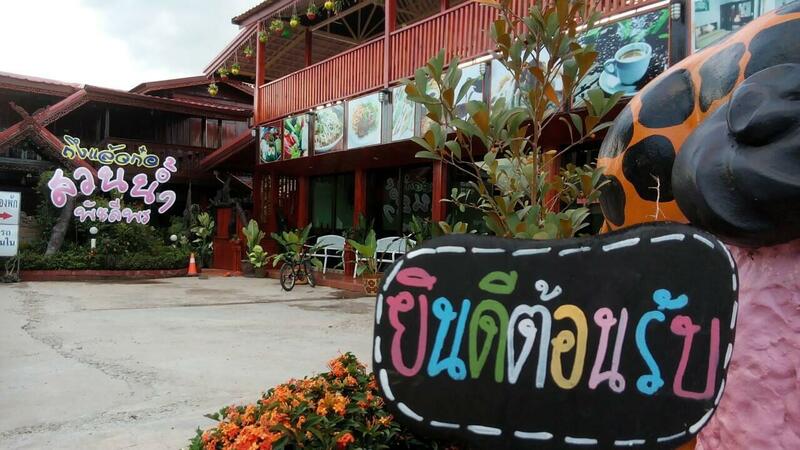 If what you're looking for is a conveniently located hotel in Loei, look no further than Patchareeporn Resort. Only 21.9 km away, this 2.5-star hotel can be easily accessed from the airport. With its convenient location, the hotel offers easy access to the city's must-see destinations. At Patchareeporn Resort, every effort is made to make guests feel comfortable. To do so, the hotel provides the best in services and amenities. Top features of the hotel include free Wi-Fi in all rooms, laundromat, 24-hour front desk, express check-in/check-out, Wi-Fi in public areas. The ambiance of Patchareeporn Resort is reflected in every guestroom. sofa, towels, closet, internet access – wireless (complimentary), non smoking rooms are just some of the facilities that can be found throughout the property. Whether you're a fitness enthusiast or are just looking for a way to unwind after a hard day, you will be entertained by top-class recreational facilities such as theme park, water park, outdoor pool, indoor pool, massage. Patchareeporn Resort is your one-stop destination for quality hotel accommodations in Loei. "Good location, best value, top place to take the family."